JAKARTA (Reuters) - National carrier Garuda Indonesia has sent a letter to Boeing Co asking to cancel an order for 49 737 MAX 8 narrowbody jets, Garuda Chief Financial Officer Fuad Rizal said on Friday. The airline could switch the order, valued at $6 billion (£4.57 billion) at list prices, to other Boeing models, Rizal told Reuters. He said negotiations with Boeing were ongoing and Airbus SE jets were not under consideration. 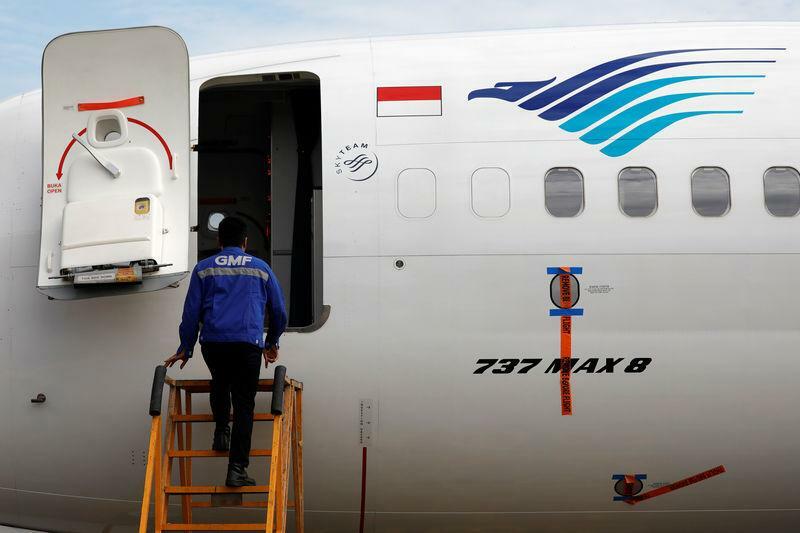 Garuda is the first airline to publicly confirm plans to cancel an order for the troubled jets after the second crash of a 737 MAX 8, which killed 157 people in Ethiopia last week. Garuda CEO Ari Askhara told Reuters on Friday that customers had lost trust in the 737 MAX 8. The airline has only one in its fleet at present. "They have been relooking at their fleet plan anyway so this is an opportunity to make some changes that otherwise may be difficult to do," CAPA Centre for Aviation Chief Analyst Brendan Sobie said. He told Reuters before the crash that the airline had decided to reduce the Boeing 737 MAX order from 49 by swapping some to widebody Boeing models.